SPACE GROUP ARCHITECTS have completed the master plan for Rupp Arena, Arts and Entertainment District in Kentucky, USA. The project is led by founding partner Gary Bates (US). 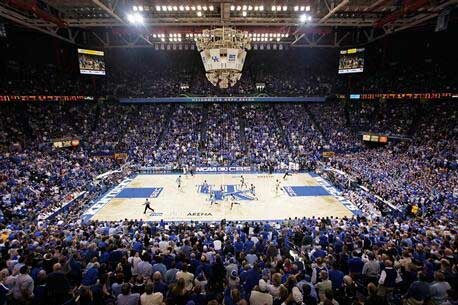 Legendary Rupp Arena is the biggest venue made for the sole purpose of basketball in the US. Space Group was selected by a committee of the Arena, Arts and Entertainment District 47-member Task Force, including citizens from across the community and the state. The Rupp Arena Masterplan project includes a vision plan for downtown Lexington and a master plan for 46 acres downtown including the Rupp Basketball Arena, new Convention Center, performing arts center, school of the arts, offices, retail and housing. SPACE GROUP ARCHITECTS in Oslo, Norway, have been chosen as the master planner for Lexington´s Arena, Arts and Entertainment District in Kentucky, USA, including the reinvention of Rupp Arena. Legendary Rupp Arena is the biggest venue made for the sole purpose of basketball in the country. The project will be led by founding partner Gary Bates (US). The selection was made by a committee of the Arena, Arts and Entertainment District 47-member Task Force, including citizens from across the community and the state. The committee chose Space Group over 13 other architectural firms, all with international credentials. Bates was hired because he can “dream big” for the District, while leveraging what is authentic and unique about Lexington, said Mayor Jim Gray, who formed the Task Force. Michael Speaks, Dean of the UK College of Design and the chairman of the Selection Committee, said, “Gary Bates set himself apart from the field of world class finalists interviewed by the committee with a powerful presentation that demonstrated not only his knowledge of Lexington and the region, but also the innovative approach of his office, Space Group. ” The project includes a vision plan for downtown Lexington and a masterplan for 46 acres downtown, including Lexington Center and Rupp Basketball Arena. The work is being carried out from Space Groups offices in Oslo and Kentucky. Museum Plaza will change Louisville’s skyline. This is what it will look like upon completion in 2010.